Conventional wisdom holds that photos snapped in the White House should be taken with a certain modicum of grace and sincerity. Chris Bosh is not a conventional dude, he is just off-the-wall. 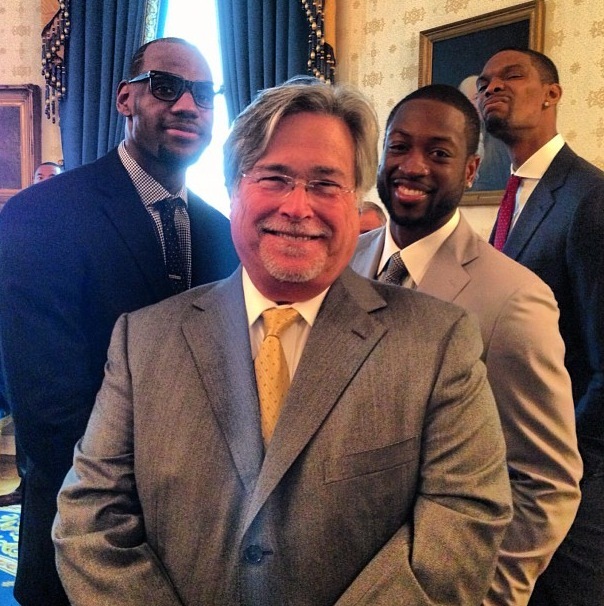 Bosh and his Miami Heat teammates visited the White House on Monday as part of the hang-with-the-president session that's long been a tradition for championship-winning American sports teams. 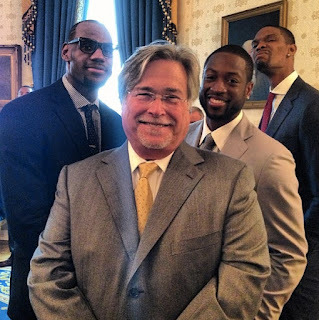 Heat owner Micky Arison posted the photo above to Instagram during the trip. Arison, LeBron James and Dwyane Wade all sport nice smiles — but then there's Bosh, lurking in the background and doing ... well, something. Well, it's not the first time. He has been "strange" many a time before, like this one.